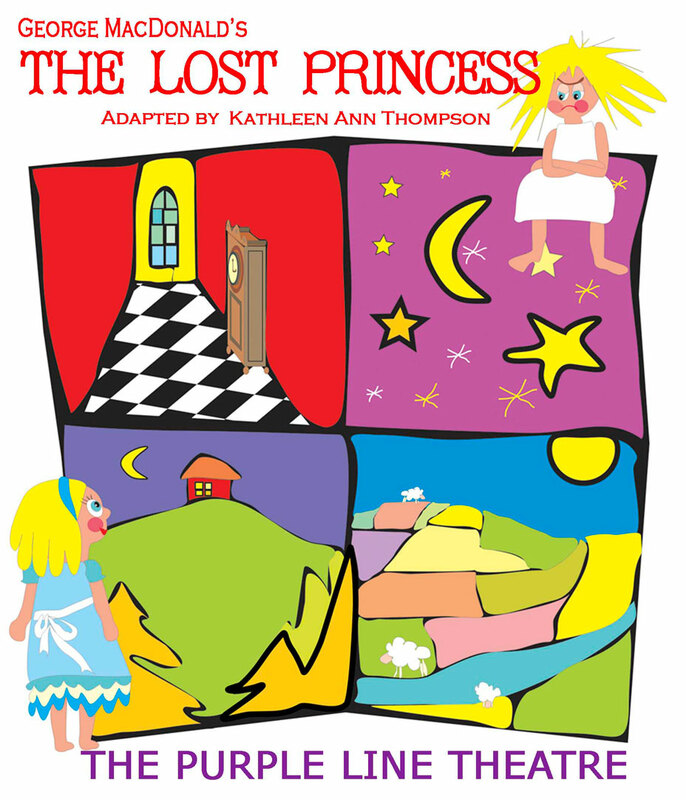 The Lost Princess is a cleverly animated movement theatre piece adapted from George MacDonald’s fairy tale about ‘out of control’ attitudes, mysterious abductions and amazing transformations. 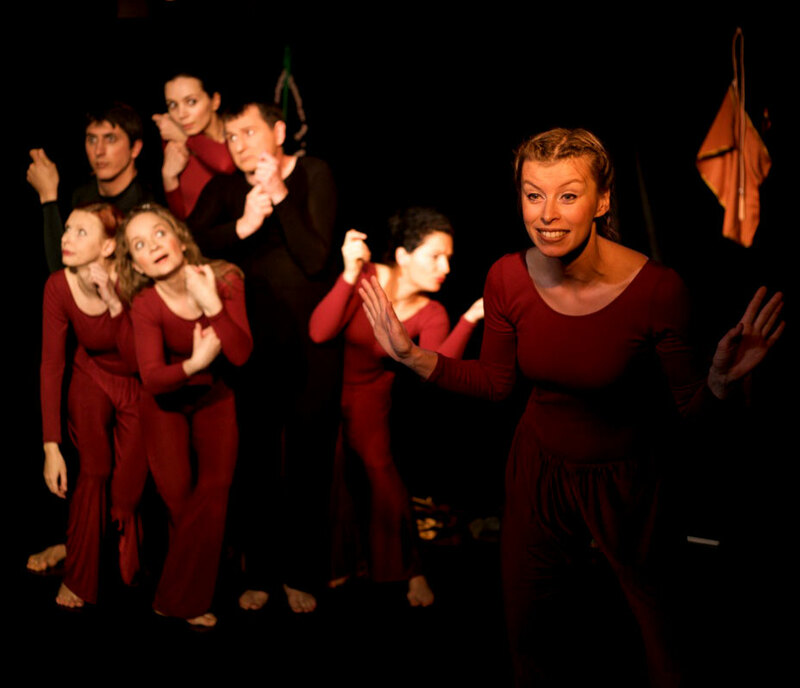 A skillful ensemble of six performers keep the action moving at a speedway pace displaying techniques of mime, dance, and song. 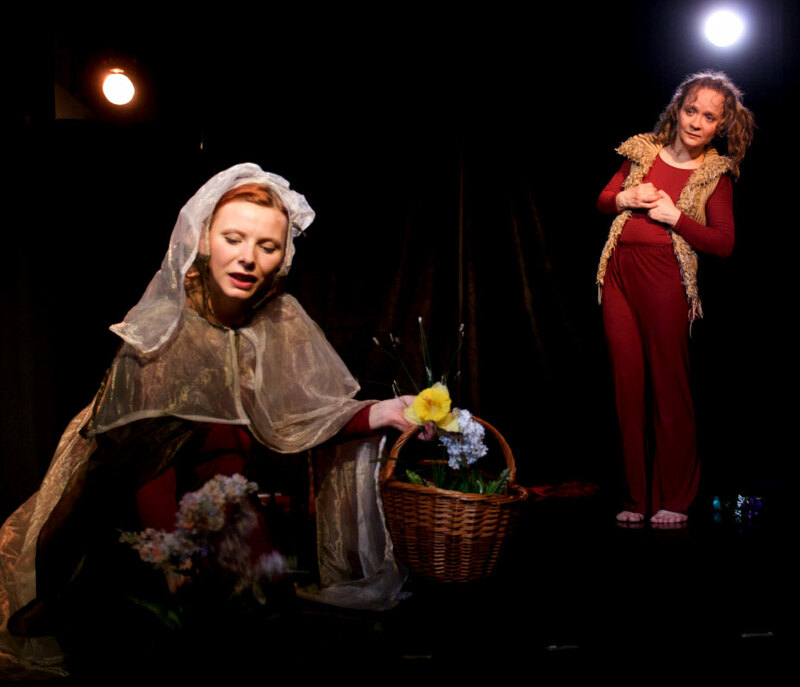 Using a theatre in the round setting, the story of Rosamond begins with her mysterious kidnapping by an enchantress of the deep forest. AND… for what reason was the adored daughter of the King and Queen abducted? Secret doors, a forbidding moon, dancing ghosts, magic flowers and the most loveable dog in the world- Prince, answer those questions as the story unfolds with infectious enthusiasm and humor, as well as, touching sensitivity. Astoundingly entertaining!